in London, where members of the Google Developer Relations team discussed several ways to use our tools to their best. Mission Driven Segmentation: some of the features in Google Analytics depend on implementation, and they start working from the moment you implement/configure them, so they are important for repetitive segmentation tasks. Examples are creating views for specific traffic sources / GEO locations or creating custom dimensions to measure attributes of customer engagement. On The Fly Segmentation: segmentation can’t always be planned, sometimes you might have special requests that you need to do “right now”. For this purpose, you can create new segments, which are extremely important for exploratory analyses. 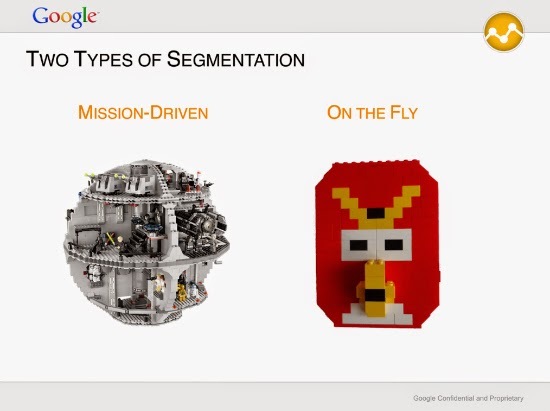 Spoiler: I used two Lego building case studies to exemplify the two types of segmentation. Below is the full presentation (thanks for the intro Richard Hyndman! ), if you would like to watch all presentations from the event, here is a playlist. A few weeks ago I presented at the Google Developer Summit in London, where members of the Google Developer Relations team discussed several ways to use our tools to their best.